Field of Screams has been scary the Sh*t our of people of 20+ years. We are the biggest, boldest and The best haunted attraction in southern New England. Three haunted attractions for the price of one. Also, Zombie Paint Ball: Shoot live acting Zombies from a 5 Ton Military Truck. Cray fun!!! The only 4D Cirqu du Soul attraction - The fourth level of fear. - Speed Pass, VIP Fast Pass and Combo passes for Field of Screams and Zombie Paint Ball are available on-line. Speed Pass tickets that allow you to skip the ticket line. VIP  Fast Pass which allows you to skip the ticket line, Dungeon of Doom, Dead River Hayride and the 4D Haunted Maze, Cirque du Soul!!! Don't miss the all new Zombie Paintball attraction where you board a 5 ton military truck and shoot at live zombies. 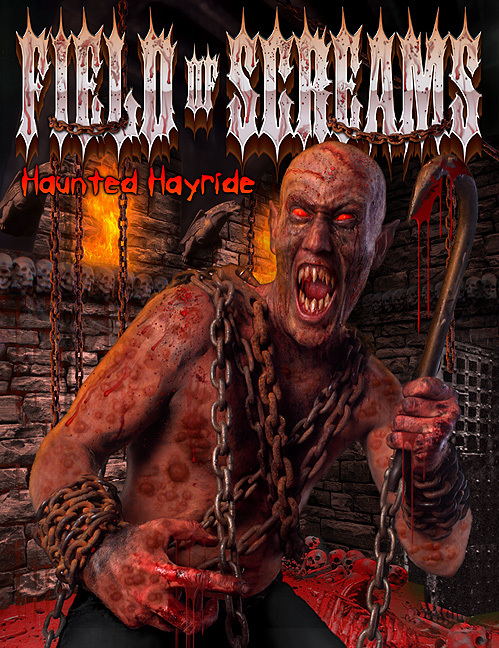 The fee is $20..
Dungeon of Doom Dead River Junction Haunted Hayride The only 4D Cirqu du Soul attraction - The fourth level of fear. 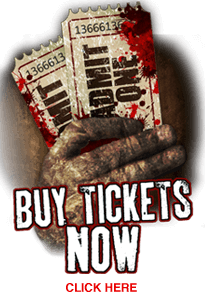 - Speed Pass, VIP Fast Pass and Combo passes for Field of Screams and Zombie Paint Ball are available on-line. Speed Pass tickets that allow you to skip the ticket line. VIP Fast Pass which allows you to skip the ticket line, Dungeon of Doom, Dead River Hayride and the 4D Haunted Maze, Cirque du Soul!!! Don't miss the all new Zombie Paintball attraction where you board a 5 ton military truck and shoot at live zombies. The fee is $20..
My daughter went with her soccer team (13 kids) to do Zombie Paintball, they open at 6:30, thought they would start selling tickets earlier so we got there early and were in line at 6. They didn't start selling tickets until 6:45, and then let us know that their credit card machine was down and that we would have to go wait in the long line at the main ticket booth after we had already stood in line for 45 min. Finally tickets in hand, had to wait in line for another 30 min before they were able to get on the truck. The kids said it was ok, not scary and not much to shoot at and lasted only 10-15 min tops. Such a waste of money. Will never go there for anything again. Waited in line for over an hour for 10 mins??? We were the first in line, no one was even a head of us. And the staff was absolutely miserable and cranky, not friendly at all. Don't waste your money !!! I'm very disappointed and pissed !!! I felt it was very understaffed (and if it wasn't , then you guys have gone down hill) It seemed like because of the weather they felt it was not going to be a busy night, so they called off a lot people to save on money . I have been there the last 4 years and always thought they did a pretty good job . I brought a group of 9 people with me and was telling them how cool this place was . Boy did I look like an idiot . We went into the first house and I swear , There was like maybe 4 people who popped out at us . Most of the house , was just us walking through it with nothing going on . Absolutely pathetic . Then the Haunted Hayride or should I just say Hayride . Again nothing going on , a couple of people jumped on the trailer but man , it was mostly just taking a ride on a tractor .They have a few animatronics but they weren't even working or turned on . Again , seemed like they were just trying to save a few bucks .Hayride was an absolute joke . Then the clown house , same as the first house , NO ONE IN THERE TO SCARE YOU. I get that if it's not busy you may want to hold off some staff but there was enough people to keep it full staffed . Especially the amount of money you charge . Crap , My group paid out $200 bucks to you guys alone . If you want to cut back as much as you did tonight , then at least let the public know or charge less for that night , Because we got ripped off tonight . Shame on you Field of Screams !!!! Three of the biggest haunted attraction in Southern New England. Outstanding!! extremely scary and three haunted attractions. Outstanding!! !